Get down with Poppy and Branch during your next themed party! 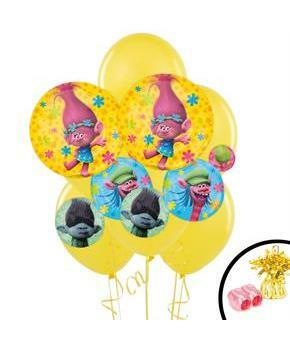 The Trolls Jumbo Balloon Bouquet is perfect for any gathering that wants to move, grove and be all around Troll-tastic. Pair with our Trolls accessories to up the fun. 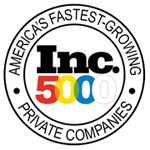 Includes (2) Jumbo Foil Balloons, (6) Latex Balloons, (2) Curling Ribbons, and (2) Balloon Weights. 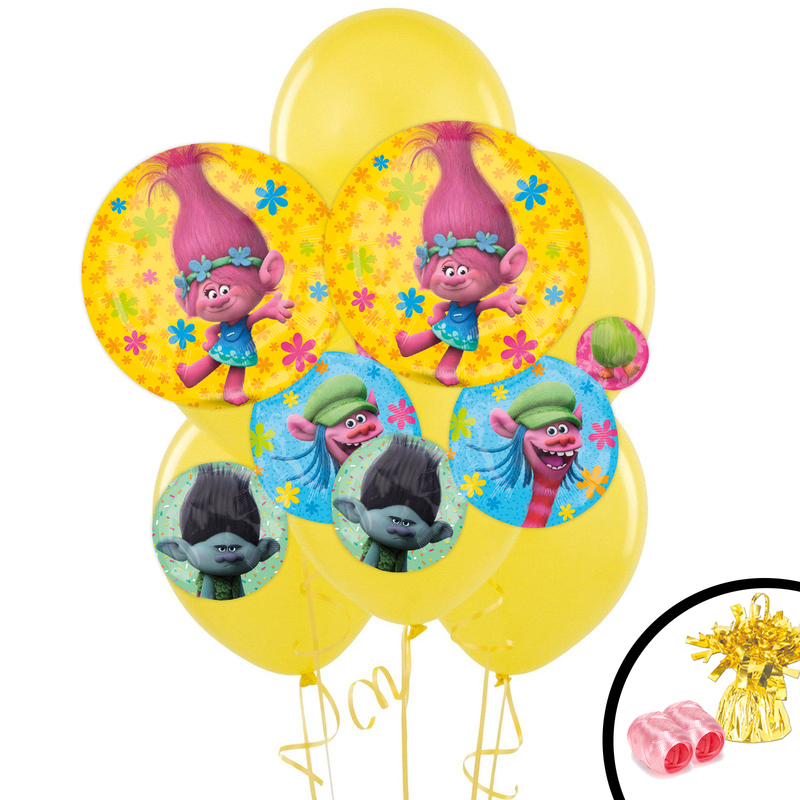 The Trolls Jumbo Balloon Bouquet includes (2) Jumbo Foil Balloons, (6) Matte Latex Balloons, (2) Curling Ribbons, and (2) Metallic Balloon Weights.